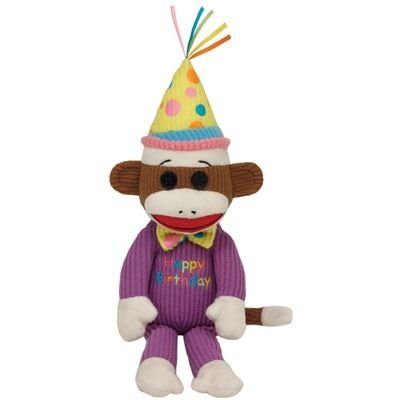 Sock Monkey Happy Birthday Beanie Baby 8"
Home > Toys > Plush > Search By Brand > TY > Sock Monkey Happy Birthday Beanie Baby 8"
Ty 40952. Ty Happy Birthday Sock Monkey Beanie Baby 8" Plush. Sock Monkey with hat is 12" tall. My special day is so much fun !